Be nimble. 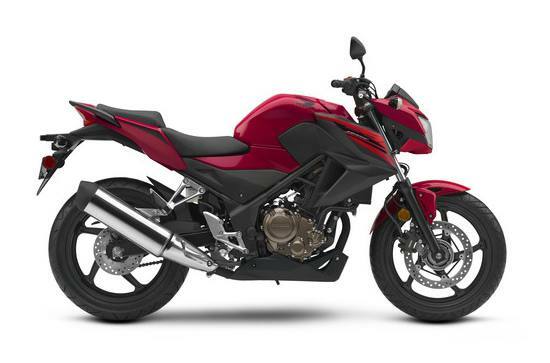 Be quick: The CB300F’s narrowness helps make it one of the most maneuverable bikes around. This is all thanks to its single-cylinder engine, low 30.7-inch seat height and light 348-pound curb weight. What you get is a bike that’s easy to put your feet down at a stoplight and a blast to ride the moment it turns green. Single-cylindered. Many ways to have fun: The single-cylinder engine on the CB300F is a true thing of beauty. It has fuel injection, double-overhead cams and a counterbalancer that delivers the kind of torque and midrange power that’s well suited for all levels of riders. Sips gas. 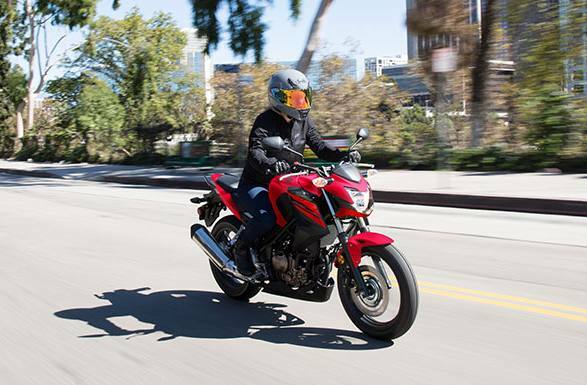 Eats up the road: The CB300F is affordable to buy and to ride. It gets an estimated 78 MPG**, is freeway capable and still has the power to carry a passenger. Anti-Lock Braking System: Our ABS—available on the CB300F—can be a big help in making controlled stops in less-than-ideal conditions, like on wet pavement or when there’s sand or other debris on the road. It’s the perfect choice whether you’re using your new bike as a commuter or just riding it for fun, since it helps you stop with added confidence. Under-Seat Storage: Removing the rear passenger seat provides a lockable area to throw a wallet, gloves, or a spare set of sunglasses. Clean, Open Design: Less is more with a CB300F. The minimal bodywork gives this machine a clean, open naked styled sportbike look that’s not only cool but that helps make it even lighter. Curb Weight: 354 lb. 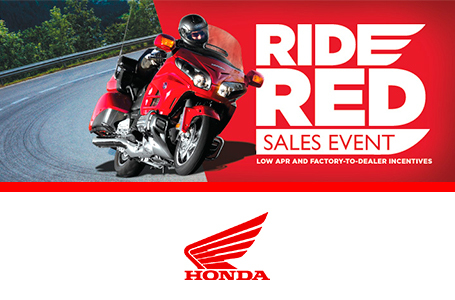 Includes all standard equipment, required fluids and full tank of fuel-ready to ride.